Archives : ONLY ONE WAY, THE BULL WAY - 31/10/2014. ONLY ONE WAY, THE BULL WAY - 31/10/2014. Bulls were simply unstoppable on Friday as the market went from strength to strength and closed the day with more than 500 points gain. Not only did the week close with a bang but also the month ended on a very strong footing. Both weekly and monthly charts have formed a big Closing White body Marubuzo which indicates strong bullishness in the near term. Market has swiftly resumed its upward journey after undergoing a Correction in the short term and is now back to routine of making frequent new highs. Sensex opened the week at 26959, made a high of 27894, low of 26726 and closed the week at 27865. Thus it closed the week with a strong gain of 1014 points. At the same time the Nifty opened the week at 8064, made a high of 8330, low of 7985 and closed the week at 8322. Thus the Nifty closed the week with a gain of 308 points. Both the indices have closed the week on a high and registered a big Closing White body Marubuzo. Even the monthly closing was at its top, thus forming a Closing White body Marubuzo on the monthly charts. On the daily charts, both Sensex and Nifty have formed Opening White body Marubuzo on two consecutive days i.e. Thursday and Friday. Thus both daily as well as weekly candlestick patterns suggest bullishness to continue in the near term. 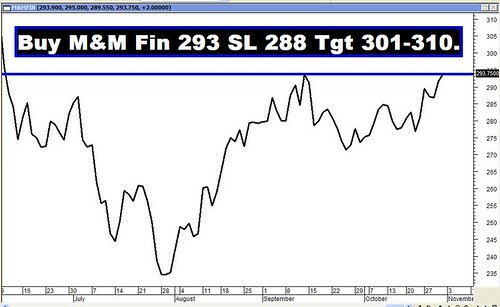 Both the indices have left behind a Bullish Rising Gap between Sensex 27438-27390 and Nifty 8198-8181 on Friday. This gap will not only act as a support but it can also be interpreted as a Measuring Gap and the target as per Gap Theory falls at Sensex 28918 and Nifty 8656. Both the indices have managed to close above the short term average of 20dma (Sensex – 26633 and Nifty – 7953) and even the medium term average of 50dma (Sensex – 26711 and Nifty – 7973). Besides, both the indices continue to remain well above the long term average of 200dma (Sensex – 24066 and Nifty – 7172). Thus the trend in the short and medium term has turned up while that in the long term remains bullish. MACD and Price ROC are both positive and continue with their buy signals. RSI @ 70 is just turning overbought but still shows tremendous bullish momentum. Same is the case with Stochastic which is also overbought at a very high level of 98. 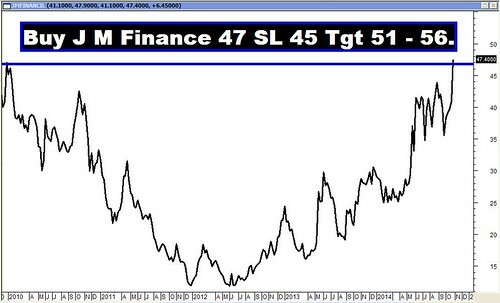 MFI (64) continues its journey upwards suggesting positive money flow in the market. ADX has moved to 21 suggesting that the uptrend is gaining strength. Directional Indicators continue in buy mode as +DI remains above –DI. Bollinger Band has signaled a Buy on Wednesday when price closed above the upper band. Except for certain Oscillators which are overbought, majority of the Oscillators are suggesting bullishness to continue in the short term. Option data for the November series, suggests highest Put Open Interest at the strike of 8000 and highest Call build-up at the strike of 8500. Thus Option data suggests a trading range with support coming in at 8000 and resistance around 8500. On Friday, 8200 Put has seen strong Open Interest buildup which suggests immediate support at the level of 8200. Trendline Resistance for the Sensex falls at 28243. Trendline Resistance for the Nifty is at 8456.